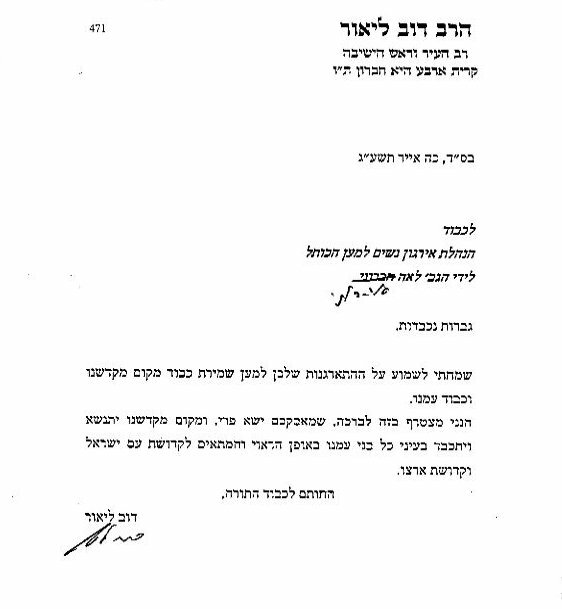 In her fanciful description of the year following Judge Moshe Sobel’s decision, Bonnie Riva-Ras demonstrates that one doesn’t need to wait decades before engaging in historical revisionism. One can do so mere months later. While claiming to promote the advancement of women, Riva-Ras has attempted to write them out of history. Perhaps her most offensive claim is that her “opponents” are men – “the most extremist haredi (ultra-Orthodox rabbis)… and politicians.” We are not rabbis, two-thirds of us are not haredi, and we certainly are not men – we are the founders of Women For the Wall, the group that disarmed Women of the Wall. A simple question: If we formed our group in response to Sobel’s decision, then why did we create our Facebook page and website 10 days prior? Obviously Riva- Ras does not comprehend this, but we were as surprised by his decision as anyone else. She writes that her “opponents” – thousands of Jewish women – “would not allow the law of the land… to be exercised at the Kotel.” This is akin to claiming that the privileges of democracy are reserved for preferred classes. We exercised our civil right to demonstrate, via silent prayer, that we do not wish to see the traditional plaza changed into something different – an agenda admitted by the head of Women of the Wall, Anat Hoffman, several months later. Riva-Ras fails to recall that Women of the Wall were opposed by rowdy teenage boys prior to our formation. She claims a level of violence that simply never happened, even after the police unwisely placed Women of the Wall as close as possible to the men’s section when they found the women’s section filled to overflowing. And it is pure fiction to assert that “the riots continued for several more months and the police became less accommodating.” In actuality, our intervention got the boys to go away. She claims that “a loudspeaker was used to try to prevent us from being able to pray.” Perhaps she is referring to the time when 10,000 Jewish women gathered to recite prayers for the health of the Sephardi Chief Rabbi Rav Ovadiah Yosef. Ninety members of Women of the Wall waded into the middle of this massive group, set their cantor up on a chair with a microphone, and proceeded to disturb all around them. Who was trying to prevent whom from praying? If Women of the Wall wants to see women stand up for themselves, they should be celebrating our efforts rather than obscuring them. To their great surprise, we and other Orthodox women do have minds of our own. If WoW has the right to come and disturb the prayers of traditional women in order to change them, then we have the right to respond and declare our fealty to millennia of Jewish tradition. Women of the Wall cannot brook our existence – or the absence of the boys. Without their thuggish behavior, WoW cannot capture media attention. This explains why WoW was caught on video deliberately attempting to provoke them and draw a reaction. By highlighting every negative response, their Facebook page documents the effectiveness of our efforts – from water bottles one month, to a single egg the next, to nothing more than whistles, to complete silence. That silence, of course, was characterized by WoW as “seething hatred,” as if they could read our minds. Here, then, is the truth. 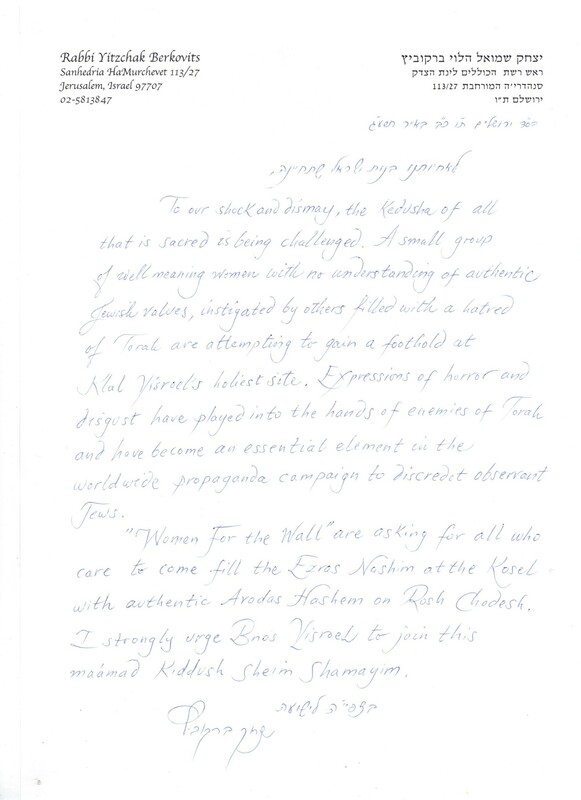 We did not create Women For the Wall to respond to the Sobel decision, or to serve as the tools of “rabbi handlers.” We created our organization to express the voice of the silent majority of women who pray consistently at the Holy Western Wall, and do not wish to see its traditions discarded or traditional Judaism maligned by WoW members around the world. The boys did not go away due to government intervention, but due to our own. We showed them that they were misrepresenting the overwhelmingly non-violent Orthodox community, and that there is a far better answer to the animosity and provocations of the Women of the Wall. We have robbed WoW of what they sought most of all: publicity, and the opportunity to bad-mouth Orthodoxy. When they come to the Wall now, they are easily outnumbered by the traditional women who simply happen to be there. The boys no longer pay them attention, and the media no longer comes to see what will transpire. The silent majority has spoken. It anxiously awaits the government’s response.